Cursive, one of the seminal bands in the early 2000’s emo/indie rock scene provided by Saddle Creek Records, is back with their first release since 2009’s Mama, I’m Swollen. Like other Cursive releases, I Am Gemini is pensive and reflective. The album stands distinctive thanks to Tim Kasher’s unmistakable vocal twang. “Eulogy For No Name” starts out vocal-based (like much of Kasher’s solo work) before breaking down into a loud, crashing volume. Kasher screams over the breakdown and the song comes together perfectly, ending on a single crash. “This House a Lie” is much more quiet than most of Cursive’s past work. Instrumental, the piece serves as an interlude between tracks. But don’t skip over it – it is a piece of quiet, rock mastery. “Wowowow” is another stunner on the album. On the track, things are fast-paced and thrashing. The speed changes from super-fast to just fast and you are kept on your toes. You won’t be able to listen to the track for long without bobbing your head along. I can picture myself hearing this album in a dive Brooklyn bar with a lager in one hand. 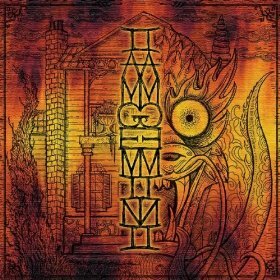 That’s the type of music you can expect to hear on I Am Gemini, much like that dive bar, the album is comforting, haunting and still a great time.